One of our busiest years this year has been down to the craze of the photo booth. So many corporate/private and bridal parties tell us how much the enjoyed the flexibility and the fun of the studio style photo booth. 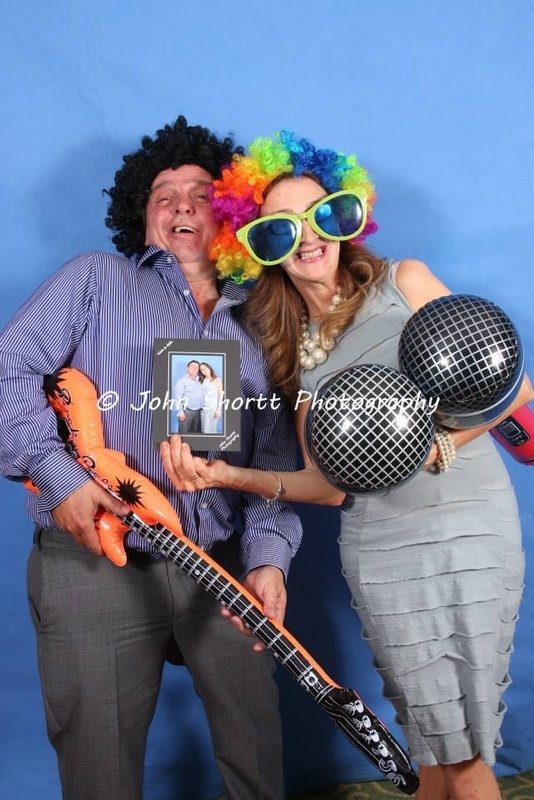 Guests can enjoy having a romantic portrait taken and then enjoy throwing a wig and picking up a funny guitar and posing for the camera. No party should be without one and with our competitive pricing, no party will have to go without one. Our pricing is matched to give some of the best value for money around. This includes 2.5 hours of shooting for a party/reception with party props with up to 150 prints included which more than covers even the largest of parties. All images will also be available online to be viewed and enjoyed later.